Reel Effect is an animation studio made-up of five creative individuals who produce 2D/3D promotional videos for businesses. We create custom animated explainer videos to help our clients, engage potential, new and existing customers more effectively. 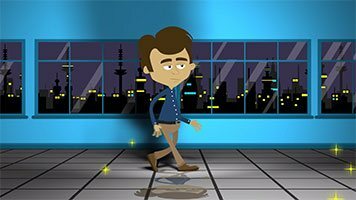 We’ve produced 100’s of animated videos for a wide variety of businesses, from small start-ups to global and multinational corporations. We’re experts in animated explainer videos that creatively communicate the key messages our clients want conveyed.